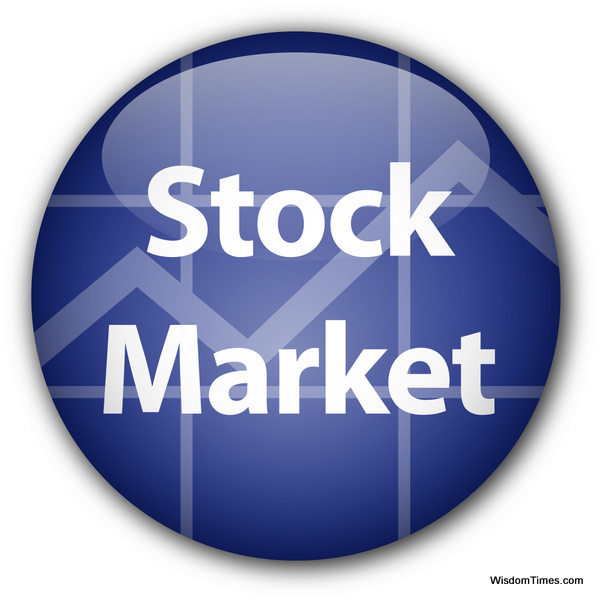 Money Market Tips: STOCK MARKET- SENSEX ENDS AT OVER 2 MONTHS HIGH, NIFTY SETTLES ABOVE 7600. STOCK MARKET- SENSEX ENDS AT OVER 2 MONTHS HIGH, NIFTY SETTLES ABOVE 7600. The Sensex rose to over 2-month high while the Nifty closed above its crucial psychological level of 7,600 in trades today led by gains in bluechip stocks such as TCS, Infosys and HDFC. The Sensex rose 275 points to close at 24,953 and the 50-share Nifty advanced 92 points to settle at 7,604. From the Nifty-50 basket of stocks, 44 stocks ended higher while 6 closed in the red. TCS was among the top Nifty gainers. The stock rose 3 per cent to close at Rs. 2,426 a day after executives from the country's biggest outsourcer met analysts to discuss strategy. The analyst meet was held to primarily showcase TCS' capabilities in digital business, the fastest-growing and high margin business in the IT space. Vedanta, Hindalco, ACC, GAIL India, Bosch, Infosys, Adani Ports, State Bank of India, HDFC, BHEL, Wipro, Tata Steel and Punjab National Bank were also among the gainers, up 2-5 per cent each. On the other hand, Lupin was the top Nifty loser the stock closed 7.2 per cent lower at Rs. 1,554 following a downgrade to "underperform" by global brokerage CLSA. Lupin shares have been reeling under selling pressure following adverse observations about the company's Goa plant by the US Food and Drug Administration earlier this week. Sun Pharma, BPCL, Power Grid, Maruti Suzuki and HUL were also among the notable losers. Buying was visible across the sectors barring a few pharma stocks. The overall market breadth was marginally negative as 1,313 stocks declined while 1,292 advanced. 3:21 p.m.: The stock markets extended gains in the last 30 minutes of trade. The Sensex rose 258 points to 24,945 and Nifty was up 88 points at 7,600. 2:46 p.m.: Metal stocks were witnessing buying interest. The BSE Metal index was up 1.7 per cent; Vedanta, Hindalco, NMDC, Tata Steel, Hindustan Zinc, Jindal Steel and SAIL were among the gainers, up 0.8-4.8 per cent each. 2:30 p.m.: Shares of LT Foods surged over 16 per cent today as Hindustan Unilever (HUL) has signed an agreement with the company for sale of its rice export business for a consideration of Rs. 25 crore. 2:08 p.m.: The stock markets were trading on a firm note in afternoon deals but the gains were capped on the back of selling pressure in pharma shares. The Sensex was up 88 points at 24,765 and Nifty advanced 35 points to 7,547. 1:38 p.m.: The stock markets came off the intraday highs. The Sensex was up 55 points at 24,733 and Nifty was at 7,539, up 26 points. 1:29 p.m.: IT stocks were witnessing buying interest. The BSE IT index was up 1.5 per cent; TCS, NIIT Ltd, Geometric, RS Software, Infosys, Wipro and Tech Mahindra were among the gainers. 1:15 p.m.: From the small-cap space, Raj TV was the top gainer, up 14 per cent to Rs. 60.50. Mahindra CIE, Eros Media, ABG Shipyard, Mangalam Cements and Sanghi Industries were also among the gainers, up 9-13 per cent each. 1:05 p.m.: Broader markets were trading on a listless note. The BSE mid-cap index was down 0.05 per cent while the small-cap index was up 0.06 per cent. From the mid-cap space, Torrent Pharma, Page Industries, JSW Energy, Tata Global Beverages, Bharat Forge, Colgate Palmolive and Jindal Steel were also among the gainers, up 1.4-4 per cent each. 12:54 p.m.: Nifty 7,600 strike price call option was the most active options contract on the National Stock Exchange. The premium on the contract jumped 44 per cent to Rs. 64.35. Total of 3,940 contracts were shed from the open interest of 83,013 contracts. 12:43 p.m.: Pharma stocks were witnessing selling pressure. The Nifty Pharma index fell 2.34 per cent; Lupin was the top loser, down 7 per cent to Rs. 1,562. Glenmark, Sun Pharma, Aurobindo Pharma and Dr Reddy's Labs were also among the losers, down 0.76-3.6 per cent each. 12:35 p.m.: The Sensex advanced 127 points to 7,560 and Nifty rose 47 points to 7,560. 12:25 p.m.: The stock markets were trading in a narrow range. The Sensex moved in a range of 158 points and Nifty touched high of 7,567 and low of 7,518. 12:18 p.m.: From the Nifty-50 basket of shares, 40 were advancing while 10 were declining. Vedanta was the top Nifty gainer, up 4.2 per cent at Rs. 90. Hindalco, ACC, GAIL India, TCS, Tata Steel, UltraTech Cement and Idea Cellular were also among the gainers, up 1.5-3.7 per cent each. 12:14 p.m.: Market breadth turns marginally negative as 1,183 stocks decline while 1,028 stocks advance. 12:10 p.m.: The stock markets came off the day's high in noon deals. The Sensex was up 43 points at 24,720 and Nifty was up 20 points at 7,532. 12:06 p.m.: Shares of realty firm DLF today rose over 3 per cent after the company sold its shopping mall at Saket in the national capital to its wholly-owned subsidiary for Rs. 904.5 crore as part of the strategy to consolidate and monetise the rental assets. 11:45 a.m.: Aviation stocks under pressure today amid a rally in global oil prices which rose to a 3-month high - SpiceJet was down 2 per cent while InterGlobe was off 1.5 per cent. 10:08 a.m.: Sensex shows some momentum, rising over 100 points but selling pressure in Lupin (-3%) and Sun Pharma (-2%) cap gains. 9:50 a.m.: Sensex turns flat after rising over 100 points; pharma stocks under strong selling pressure. Sun Pharma and Lupin fall over 3 per cent. 9:03 a.m.: Asian shares edged higher on Friday, turning positive for the year, while the US dollar weakened broadly after the Federal Reserve's cautious stance on further rate increases prompted investors to rebuild their bets on riskier assets. 9:02 a.m.: Indian markets set to open higher with SGX CNX Nifty trading 0.84 per cent higher.